Read the newsletter in its entirety and learn more here. Is Your U.S. Company Required to File Form BE-120 by July 31, 2018? June 25, 2018 – U.S. Companies That Sold, Purchased or Licensed IP or Professional Services with Foreign Persons or Entities in 2017 Take Note: Form BE-120 is Due July 31, 2018. 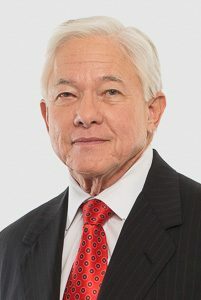 The U.S. Department of Commerce Bureau of Economic Analysis (“BEA”) conducts surveys to gather economic statistics related, among other things, to international transactions involving certain covered intellectual property transactions and certain covered professional services with foreign entities. Coats Rose Director Kelly Longwell provided insight on the financing of a 100-bed health center and addiction treatment clinic and additional commercial tenants in a historic 41,000 square-foot former car dealership in New Orleans. 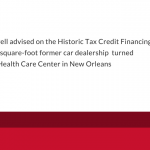 Her commentary was included in the article, “Behavioral Health Care Center to Make New Home in Historic New Orleans Auto Dealership,” published in The Novogradac Journal of Tax Credits on June 7, 2018. The 2017 Tax Cuts and Jobs Act (the “Act”) creates a new income tax deduction for individuals, trusts and estates that own pass-through businesses. Welcome to the Coats Rose Wealth Presentation & Transfer Planning Newsletter, a resource for timely legal analysis of issues affecting personal wealth, estates and financial preservation. Our Wealth Preservation and Wealth Transfer Planning attorneys assist clients in planning and protecting their futures through designing trust and estate planning and administration strategies that are responsive to our clients’ needs, whatever their financial status. 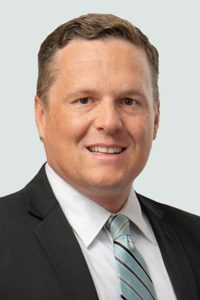 Coats Rose of counsel Ben Aderholt authored the article “Most Circuit Courts View MacEvoy Rule as Harsh” published in the current issue of the Construction Law Journal, published by the State Bar of Texas Construction Law Section. Coats Rose Director A. Kelton “Kelly” Longwell provided insight on disaster recovery in the affordable housing industry in the wake of Hurricanes Harvey, Maria and Irma at the Novogradac 2017 Credit and Bond Financing for Affordable Housing Conference in New Orleans in October 2017. 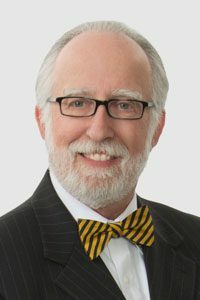 Coats Rose of counsel Ben Aderholt contributed to the “The 85th Session” article published in the September 2017 issue of the Texas Bar Journal by authoring the section titled, “Construction Law.” To read the article, click here. Stephanie Lucas Harrison presented “Love Thy Neighbor: Negotiating Co-Tenancy Provisions in an Evolving Retail Landscape,” at the 29th Annual Spring Symposia for the American Bar Association Real Property, Trust & Estate Law CLE Programs on April 21, 2017. The presentation considered how co-tendancy lease provisions are evolving as retail developments are changing. 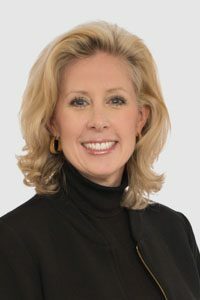 Coats Rose Director, Elizabeth Haecker Ryan, recently contributed to an article regarding how artificial intelligence is significantly impacting the future of the practice of law. Read on to learn how these changes may directly impact your practice. 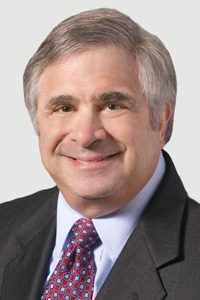 The most basic underlying purpose of the economic loss doctrine (or “economic loss rule”) is to separate the application of tort law and contract law. The U.S. Department of Housing & Urban Development (HUD) recently sharpened an old tool, the Fair Housing Act, to address modern racial concentrations in housing.1 The new discriminatory effects fair housing rule extends, for example, to any practice that has the effect of reinforcing or increasing segregated housing patterns, regardless of whether motivated by intentional discrimination.2 Civil rights groups applaud the policy move as an important step in dismantling segregated housing patterns, but real estate industry groups criticize HUD for overstepping its congressional authority. Consequential damages are a serious concern. Consequential damages differ from “direct” or “actual” damages that flow naturally and necessarily from a breach of contract. Examples of direct or actual damages include costs to correct defective work or finish a defaulting contractor’s work. “Time is of the essence.” Is this just ancient, benign legalese? It means being late, even by a day, is considered a material breach of contract. The Texas Supreme Court shed light a few years ago on just how critical this phrase can be. Effective September 1, 2007, the enforcement of contingent payment clauses in certain construction contracts will now be governed by statute. Such clauses are often found in agreements between general contractors and subcontractors, and make payment to the subcontractor “contingent” on the general contractor’s receipt of payment by the owner. As the engineer, architect, contractor, subcontractor, supplier, or other service provider involved in a multi-million dollar project, imagine that you have just learned the project has been destroyed, due to a flaw that might be your fault. Coats, Rose, Yale, Ryman & Lee, P.C. Contractors face enormous liability exposure when bidding to perform construction work and related services in our highly industrialized and litigious society. Today, it seems we don’t even blink an eye when we hear of damage awards in the $10 to $25 million dollar range.